Do You Want More Cash In Retirement? 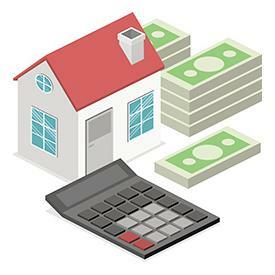 If you are in the Southern California Area, and are interested in a Reverse Mortgage, please try my FREE Reverse Mortgage Loan Calculator to see how how much you could qualify for. 237341. Refer to http://www.nmlsconsumer.org/EntityDetails.aspx/COMPANY/237341to see where AFN is a licensed lender. In all states, the principal licensed office of American Financial Network, Inc. is 10 Pointe Dr. #330, Brea, CA 92821; Phone: 888/636-7573. The content in this flyer is for informational purposes only. The content is not meant for legal, tax or professional accounting advice. Network, Inc. programs are subject to change without notice. Reverse Mortgage Professional in La Quinta, and also serving Coachella Valley, Riverside County, San Bernardino County, Inland Empire, Palm Desert, Palm Springs, Bermuda Dunes, Cathedral City, Desert Hot Springs, and the surrounding Southern California area.